Expatriates having desire to bring their family in Saudi Arabia may thinking about their profession eligibility for Family visit visa or not. Family visit visa is much easier than Permanent family visa for which special profession is required but in case of visit visa profession is not really matter many lower professional person may easily get family visit visa. Still some expatriates face the issue of not getting visit sometime it is due to huge amount of applications submitted to mofa or some time during session of hajj or Ramadan getting visit visa is not easy. You can check permanent family visa profession eligibility at List of Permanent Visa Profession for Saudi Arabia. 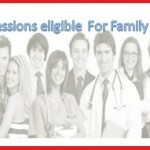 If you profession is listed than it means that you can bring your family visit visa also. 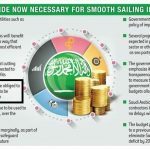 It is common that those having good salary than average salary and also have accomodation in Saudi Arabia may easily bring family on both permanent and visit visa. Try to use online visit visa application system of MOFA if your online application is approved than you can bring your family on visit visa otherwise not or use manual procedure. 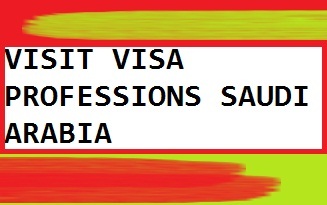 The best ways is to ask your sponsor, company hr for visit visa if they say yes than go for futher procedure.